Please pray for this awesome free festival that we have been part of planning in the Peoria area. We would love for you to come on July 14th, we still need lots of volunteers, we could use some financial support and we would appreciate you telling others about it! We really really need your prayer. Ask the Lord to prepare hearts for the Gospel that will be proclaimed all day long, pray that many will join the family of God that day and that others will turn back to Him as His Holy Spirit moves in the heart of the city. We are praying for revival and are asking you to pray with us. Thanks and God bless! Also let us us know if you or a group you are part of would consider coming out and volunteering on July 14th. Connecting a Timothy Culture in the Church Interns, Trips and Blessings! 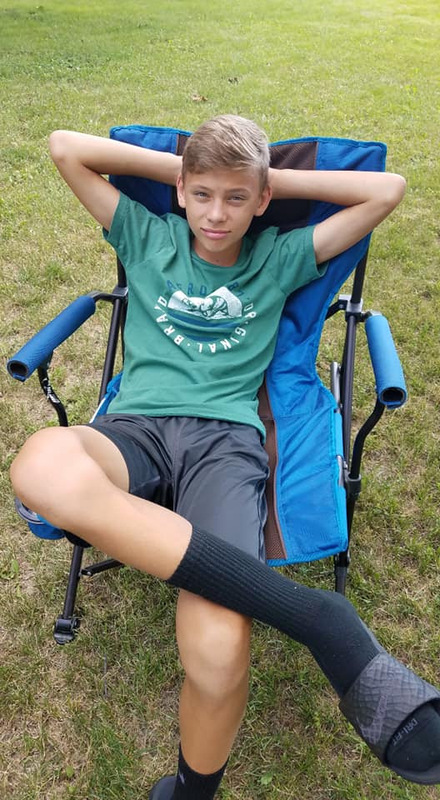 We are excited to welcome our first summer intern to Small World Connections. His name is Jack Ressler and he is a business and economics major at Monmouth College. Please pray for Jack this summer as he serves our ministry and experiences a variety of business environments, works on several business projects and takes a mission trip to Uganda to help in the development of a business called Free Indeed that is set up as a way to help refugees in Uganda. His time with us has already been very productive as he has served at all three of our resale shops and assisted the festival director for Unite Fest 2018. We are glad to have Jack on our team and it is fun having someone we know so well serve with us in ministry! Africa Go Team Coach in Albania! 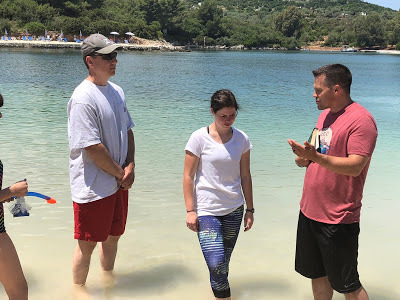 One of our staff members Steve Waggoner, who primarily focuses on connecting, coaching and serving our ministry partners in Africa, just returned from leading a trip to Albania. Now you might be saying, I didn't think Albania was in Africa, and you would be right. Steve is also a pastor at Cross Walk Fellowship Church in Delavan Illinois. 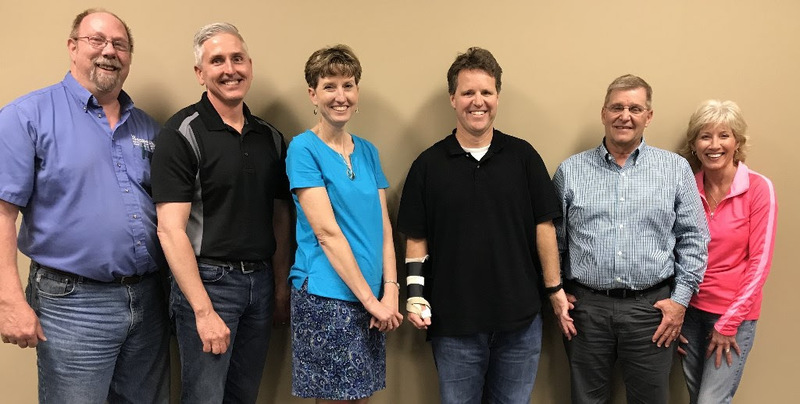 He was the organizer and leader of a team that traveled to Albania and assisted the church planting effort there through ministry and discipleship training and by helping with a mission business that is providing relationship opportunities as well as helping to fund the church plant. We are thrilled that Steve has been able to model what we call a Timothy culture in a Africa as well as other continents! What a thrill to be able to send our friend Brian Du Pont to serve two different ministries working in Haiti with his creative talents in video production. 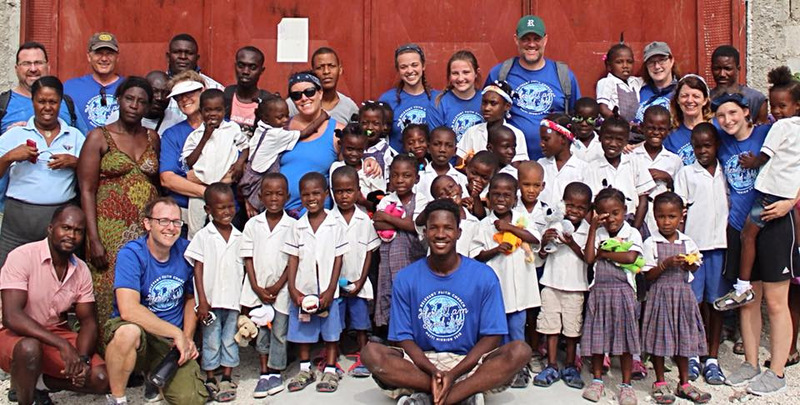 In one week Brian was able to shoot video at two locations in Haiti as he traveled on a whirlwind tour. 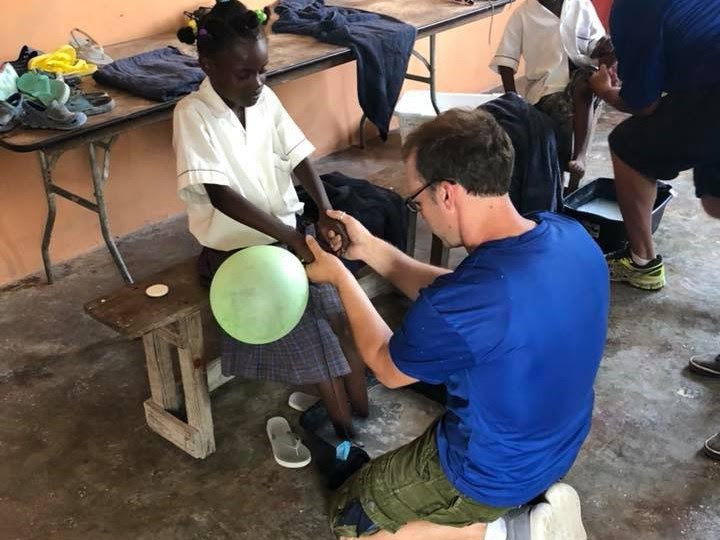 He blessed a ministry called Jacob's Well whose founder we met recently at the ICOM conference in Peoria and worked with the team he traveled with from central Illinois to serve the orphan ministry they partner with in Haiti. Brian just returned home a few days ago and will soon be getting to work on editing both videos that we pray will help these ministries communicate clearly their vision to serve others and share the love of Jesus Christ. Thanks for supporting our Video Go Team efforts and please pray that Brian and others like him will continue to use their talents for Kingdom work! You have seen our Communications Director Chris Brett (on the right) in shots like these before as he has traveled to Africa and India to produce high quality videos for our ministry partners. Well, the Lord is using him again as he heads out tomorrow to serve our partners Lowell and Sheri Glick in central Mexico. 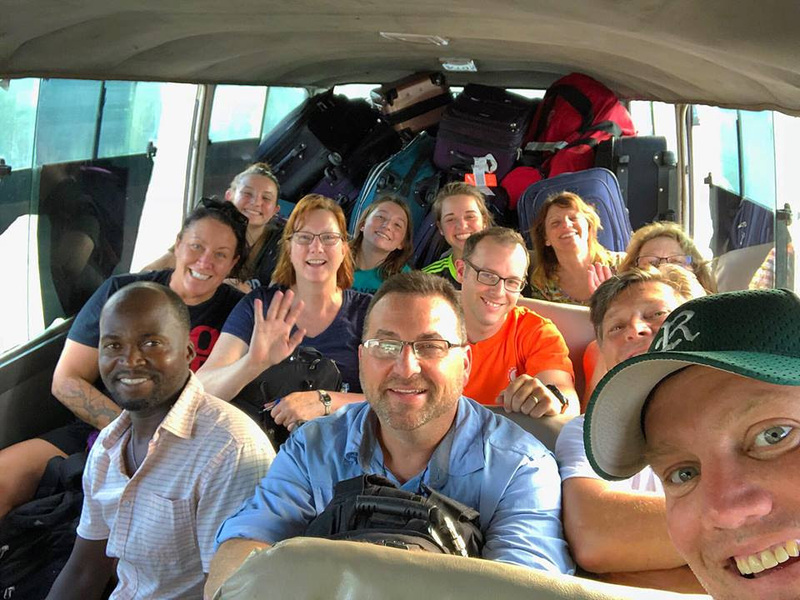 Chris is joining a team from Chillicothe Christian Church that is heading down to Zacatecas Mexico to install smokeless stoves in a remote village. We love being able to send staff members with teams that are forming and going for multiple purposes. Please pray for safety and productive ministry for Chris and the whole team as they serve our mission partners. This month we have several great examples of what we mean when we say we want to connect at Timothy Culture in the Church. God is opening many doors for us to connect with believers, like Timothy (Philippians 2:20-21), who have others' best interests in mind and what matters to Christ. These connections are getting more and more exciting and they are confirming our prayer that we would be able to say to missionaries all over the world that we are part of a network of believers like Timothy. Please pray for the following ministry opportunities and praise God with us for what He has already done. We love celebrating each year with our amazing volunteers at our Volunteer Thank You Banquets. These friends make Helping Hands Resale Shoppes a reality. God has used these people to serve over 40 organizations in 2017 and raise over $147,000 at our Chillicothe location alone. These images represent a perfect picture of what a Timothy Culture looks like. You can see over 40 volunteers who have others best interests in mind and what matters to Christ. We also recognized Nancy Brandstatter as our Marcia King Memorial Volunteer of the Year! What a blast to celebrate all that God is doing through servants like Nancy and their hearts to bless others. Spanish Students - ¡Qué Bueno! Taking the time to learn the language of people from another culture is a true commitment. 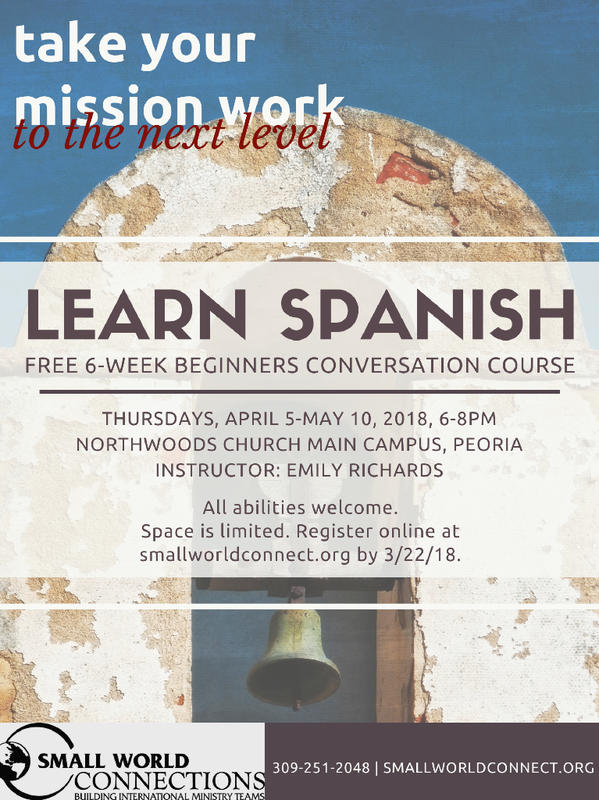 These students who participated in our beginner level conversational Spanish class have put in the work to connect with others in hopes of sharing the love of Jesus Christ. 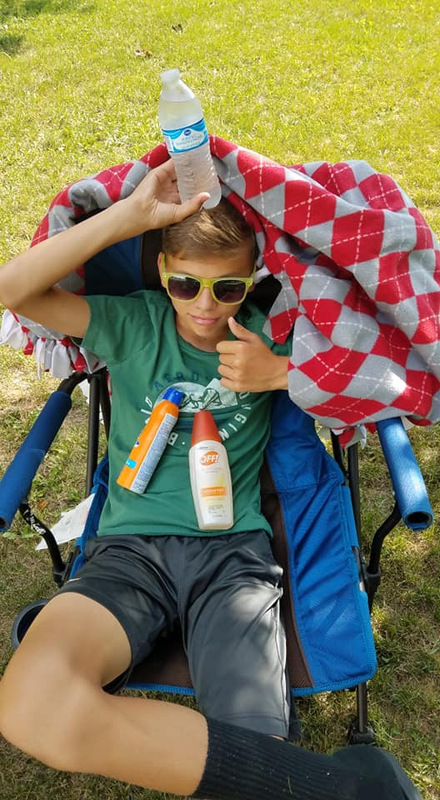 This week will be their final session in the beginning level, so please pray for each of them as they now use what they have learned to connect with others. We have been blessed to partner with our friends at Northwoods Community Church to host these classes on a regular basis. 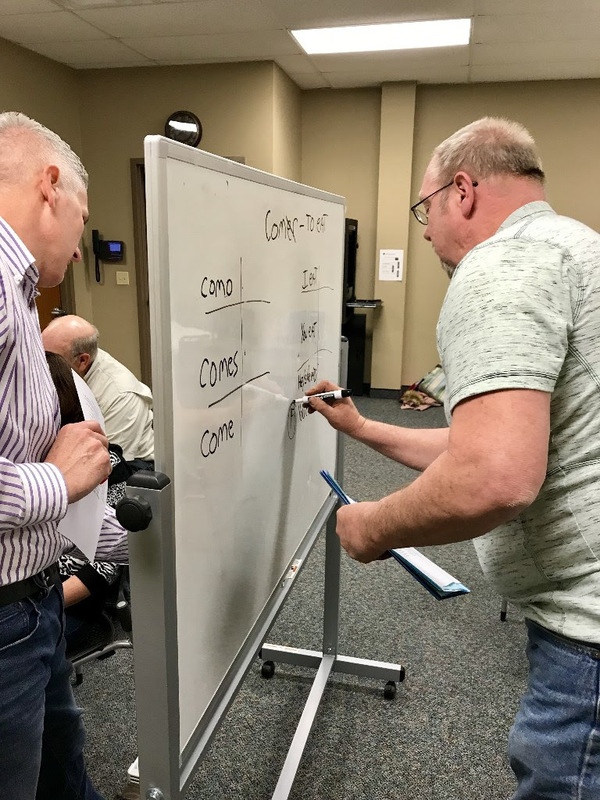 Please pray for future opportunities to offer other training that helps connect at Timothy culture.